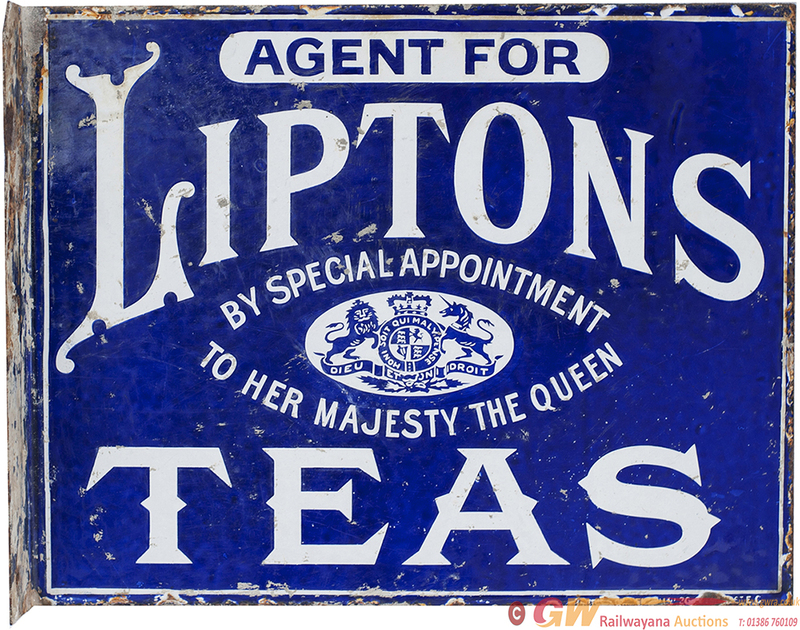 Advertising enamel sign AGENT FOR LIPTONS TEAS BY SPECIAL APPOINTMENT TO HER MAJESTY THE QUEEN. Double sided with wall mounting bracket, 16.5in x 13in. Both sides in good condition.